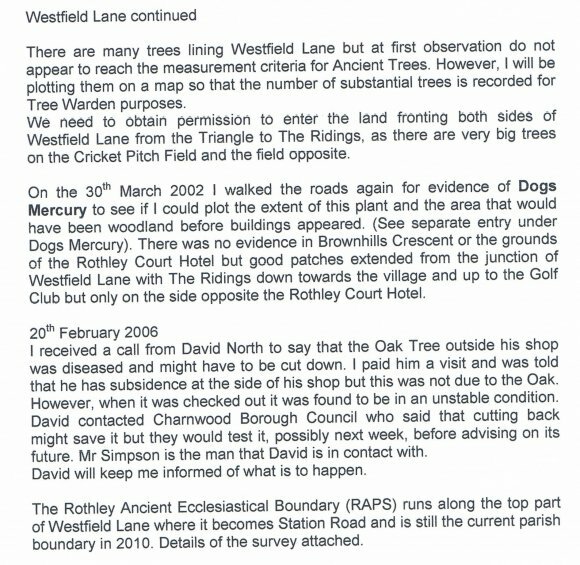 Station Road, Rothley runs from the Great Central Railway at the end of Westfield Lane into Cropston. 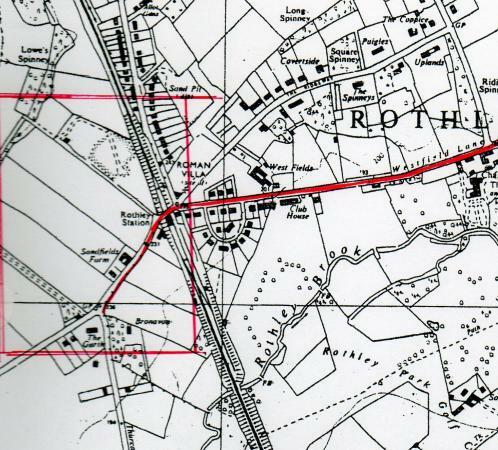 The Rothley Ancient Parish Boundary runs along the part as far as Thurcaston Road, just round the corner before striking out over the fields towards the Great Central Railway line. We started our walk from the Cedars Residential Home at the junction with Thurcaston Lane to wards the Great Central Station. 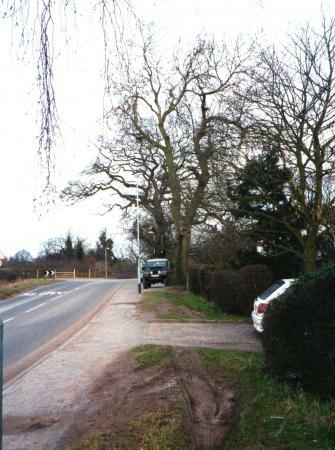 This is the extent of Station Road in Rothley. 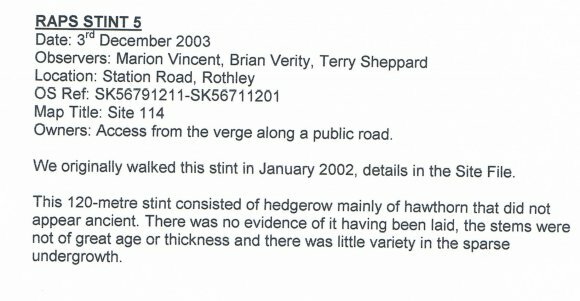 There is a field at the junction which was ploughed at the time of our visit and could be interesting for a bit of field-walking in the future. 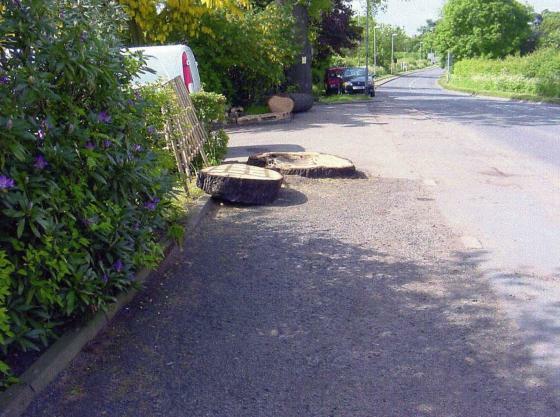 When we spoke to David North he said that he was not sure if he owned them or the Local Authority as it could not be defined if they were set in the pavement or his front garden. 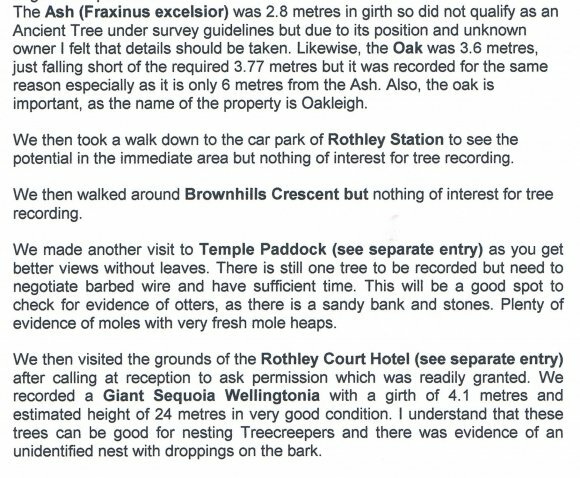 Although they did not qualify as Ancient Trees due to girth size I felt that it was important to record them due to their position. 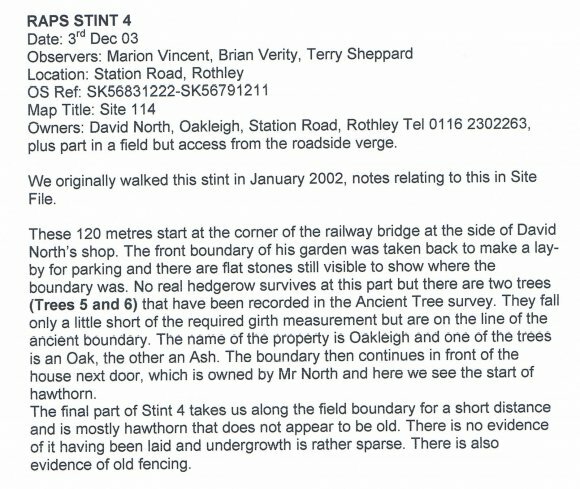 They are the only trees in Station Road but they are on the Rothley side as the other side of Station Road is in the Parish of Swithland. 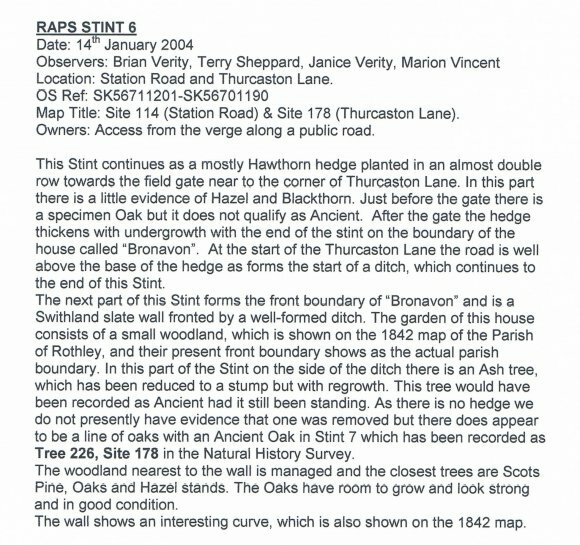 The original house name was Oakleigh so another good reason to record the Oak but, sadly, it was cut down in 2006 as it was found to be unstable. XHTML 1.0 validated. WCAG compliant. Page generated in 0.109 seconds.